Perpetual flow dipper wells may not be the safest or most cost effective way for commercial kitchen staff to store the tools they use. A well-designed utensil holder like ConserveWell™ from Server Products, on the other hand, can save operations thousands of dollars. In this short video, we can show you how. 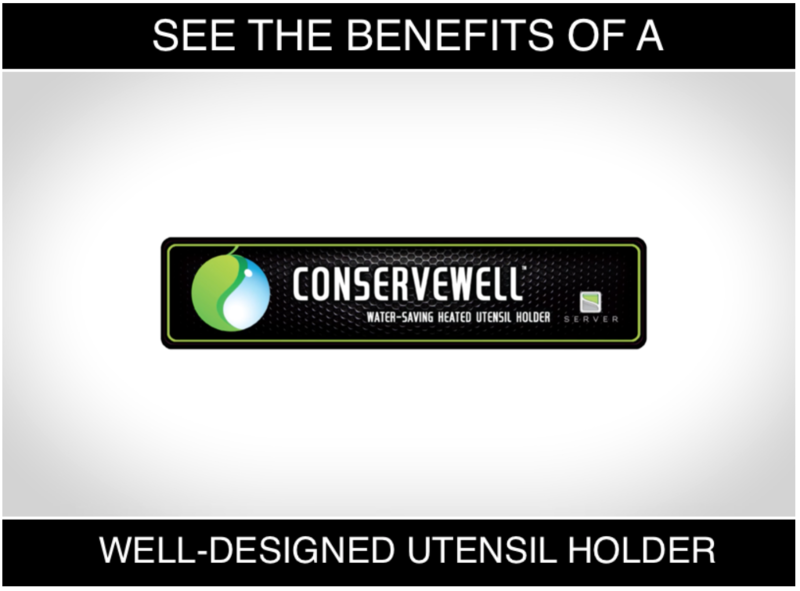 ConserveWell is an environmentally friendly method of rinsing and protecting utensils against bacteria growth. When compared with traditional dipper wells, one ConserveWell unit can save over 250,000 gallons of water per year. By storing utensils at or above 140° F, they are kept in the safest possible conditions while saving the operator water, energy, and ultimately cost. Here's a short video that shows the true benefits of using a well-designed utensil holder. Get a summary sheet of the ConserveWell benefits. Download our benefits sheet.